This project aims at monitoring the realization of industrial works such as construction and manufacturing. 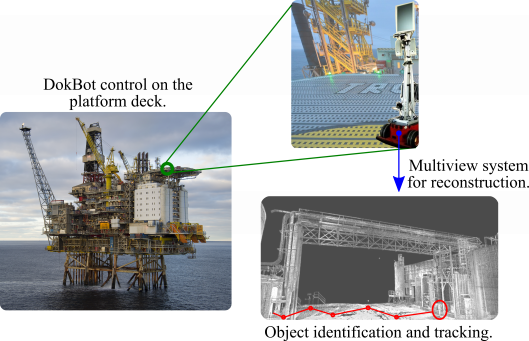 The monitoring includes the tracking of objects and equipment during the execution of the work. Additionally, we aim to perform the visualization of a project, as well as the monitoring of its evolution, through a remote view system and the construction of a realistic three-dimensional virtual model. Some specific objectives are the development and evaluation of algorithms and techniques for merging data obtained by different sensors to perform the identification, tracking, and consultation of equipment in different scenarios. This project is supported by Petrobras.